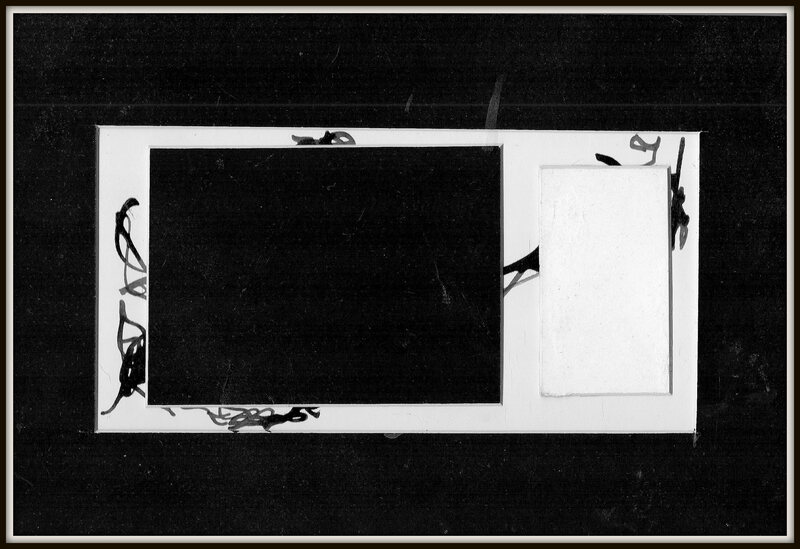 Needed this 7.5″ x11.75″ Matting board, ink, rusted metal. 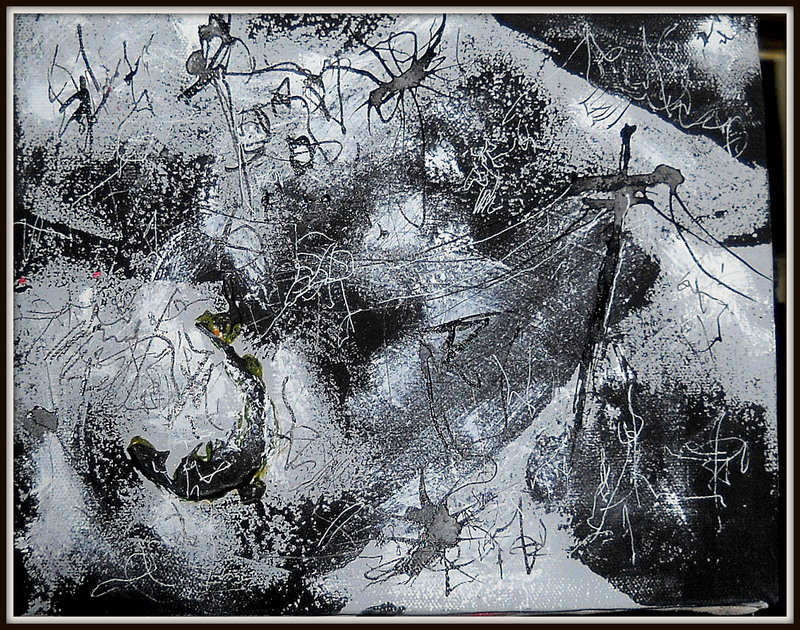 5.5″ x 6″ Black gesso, ink, water color, silver and aluminum metalpoint on prepared mat board. 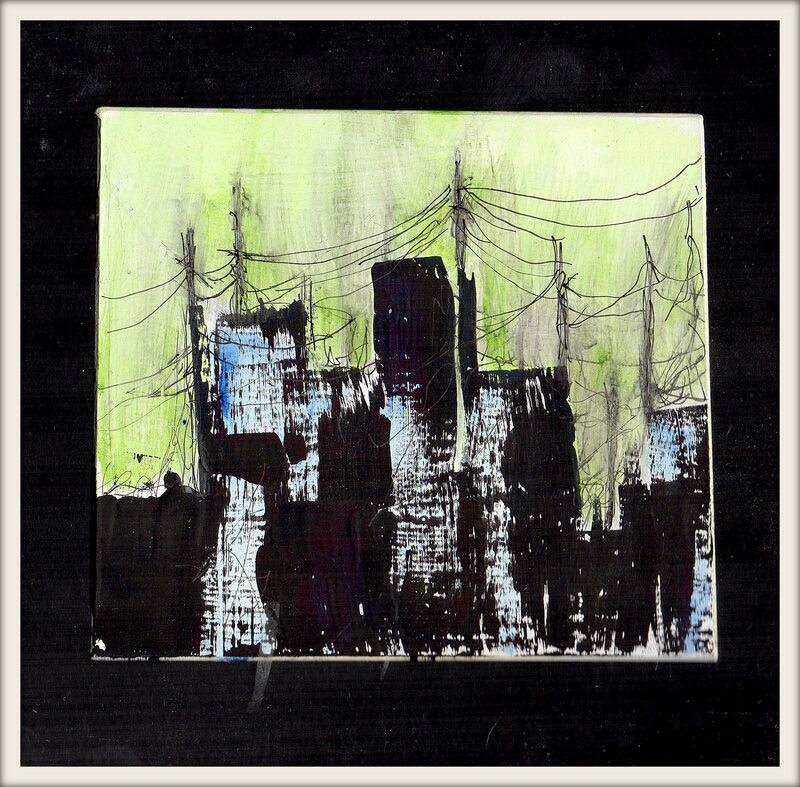 Cityscape 4.75″ x 4.5″ Black gesso, ink, gold, copper and silverpoint on prepared matting board. 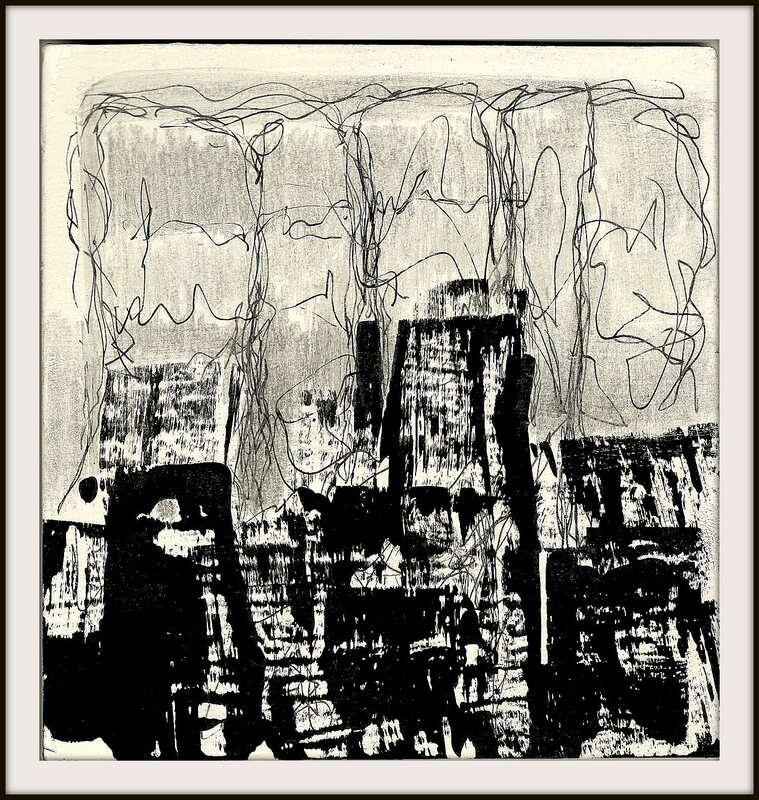 Cityscape series. 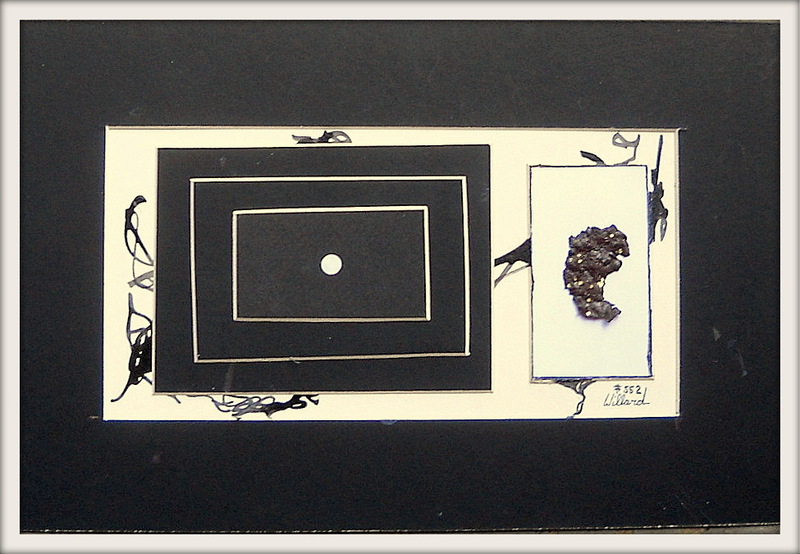 4.25″ x 5.25.” Black gesso, metalpoint (silver, copper, gold), and ink on prepared mat board. What to do with scraps of matting board? 7.5″ x 11.75″. Matting board with ink. Fits my mood. Anxiety and depression.. more black and white & monotone. 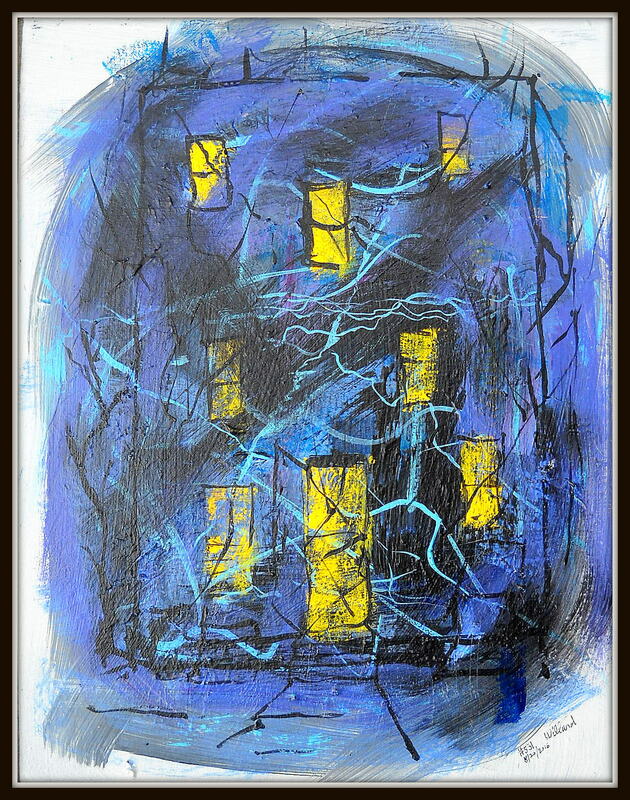 8″ x 10″ City Series. 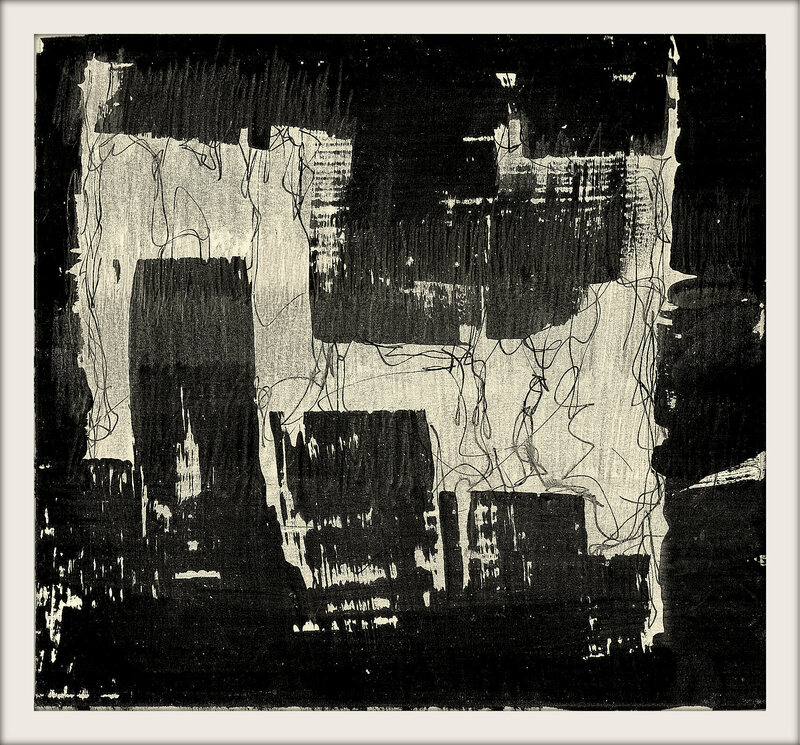 Black gesso, acrylic, gouache, ink on canvas. Black white and gray… for the last month or so I’ve been doing monotones. I don’t see, can’t process color when I’m depressed or more than normal levels of anxiety. I feel this in my visual art.. I reject “realism,” and am equally unsatisfied with pure abstraction. I find I’m always searching for something else, something between, something lost and becoming in the fragments of this broken world. 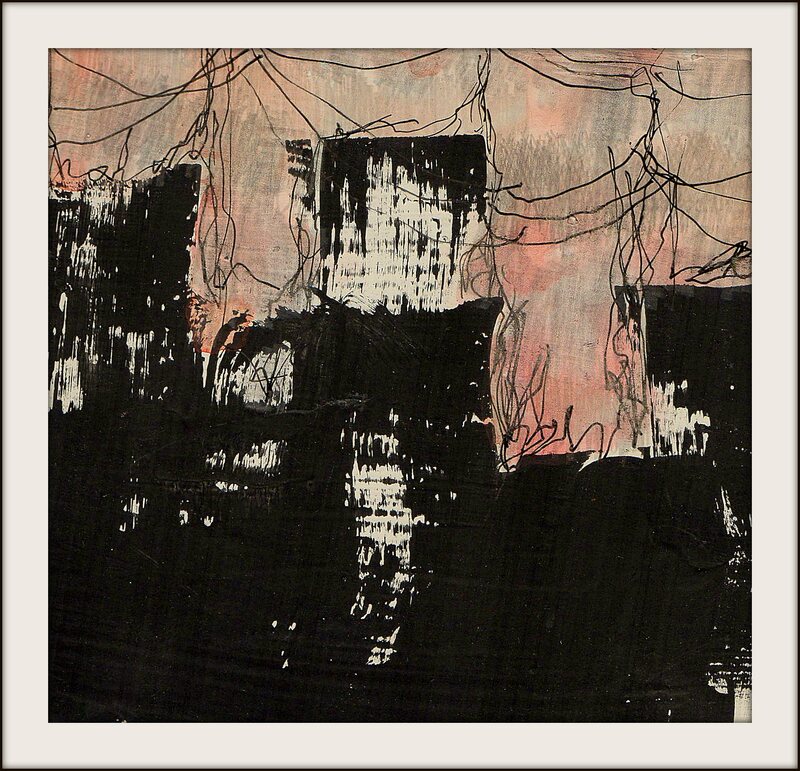 This speaks to my preference for the city in my art. The natural world untouched by humans has no need of me. It’s the cage we have made of our symbolic order, of the political, social and economic machines it supports, that I feel impelled to shatter and reassemble. The beauty I see in the wilderness, I can enjoy and leave as it is. There’s no need for me to “make art” of it. But I can’t so much as open the door to the street where I live, but that I want to take it apart–to re-imagine it, to find what is hidden there and yet to be.